This lesson for a Sixth Grade English/Language Arts class supports student engagement and analysis of text. Students have selected key pieces of textual evidence using the Google Sheets Crowdsource lesson. 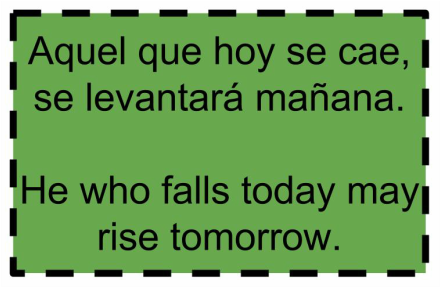 Next, each student has created a "Quote Sticker" in the Google Drawing lesson. Finally, the teacher and or students will select quotes for further collaborative discussions. This activity can be done in multiple ways, whether in small groups or whole class, as are presented below. The following Common Core State Standards for sixth grade provide sample learning objectives for this lesson. Small groups choose one of the Quote Stickers created in the previous Google Drawing learning activity. Next, the owner downloads the Google Drawing to a Google Document, with a two column table. Students write comments on the meaning of the quote and features that are significant, such as figurative language or theme. This structure provides student a simulation of a Twitter chat or threaded discussion, if those are not available. Because of the age of students, this structure could provide a manageable discussion opportunity for young students. After some experiences with this structured discussion, this same activity could be created for the whole class. A key success element is digital citizenship and student behavioral expectations. If the class is able to post responsibly, without changing another student's work or posting inappropriate comments, the whole class approach provides students practice in creating collaborative conversations about complex and meaningful text. Students select meaningful text and have collaborative discussions, simulating a threaded discussion. The discussion focuses on the meaning of selected text, analysis of the text's meaning, significance to the plot, tone, etc. This activity ​builds capacity for extended conversations and other activities over time. Students can then share or present findings to other members of the class if they are analyzing different pieces of text, making their work more meaningful as it will be shared with peers.